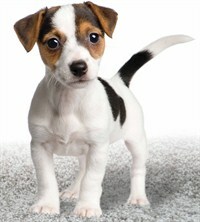 Puddles is the face of our amazing new range of stain-resistant carpets called ClearTouch by Studio. This new product is guaranteed stain resistant, fade resistant and wrinkle resistant for 10 years, putting it in a league of its own amongst the competition. The carpet is made from an innovative mix of materials and contains a very high proportion of recycled plastic - which you may find hard to believe when you step on the carpet, which has a rich, soft, luxurious feel to it underfoot. Flooring First has some amazing deals on ClearTouch in store now. Working in conjunction with the New Zealand SPCA, we are donating $2 for every metre of ClearTouch sold to your local SPCA. Pop into your local Flooring First for expert advice, excellent service, and truly superior floor coverings.